The EUR/USD currency pair is the first ascending structure. 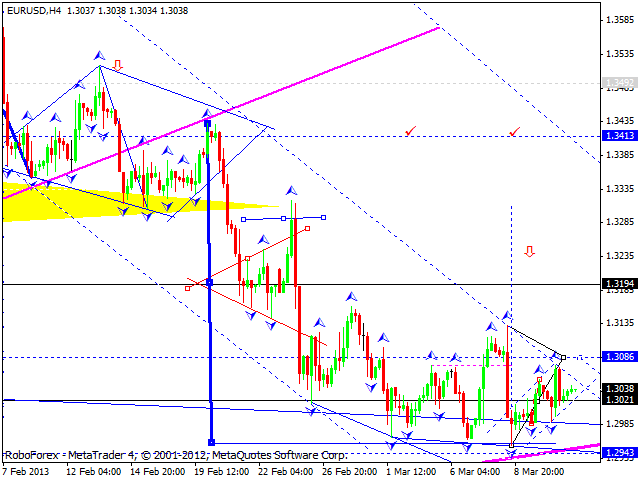 I think today the price may reach the level of 1.3085 and then start a correction towards the level of 1.3020. This structure isn’t likely to continue, but may result in the formation of head & shoulders reversal pattern. 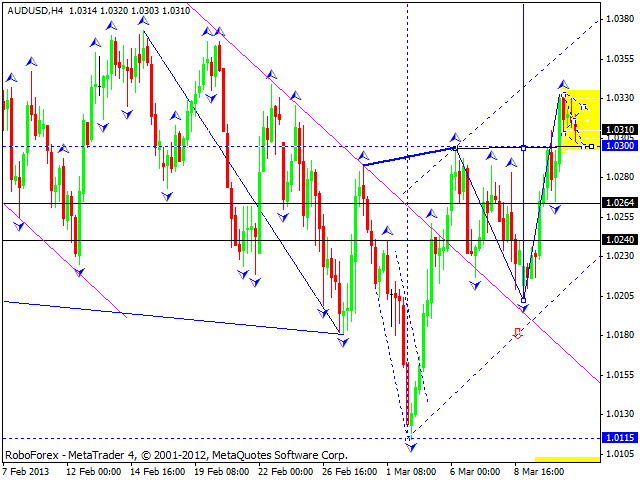 The minimum for this pattern is the level of 1.3300. Alternative scenario implies that the price may reach a new minimum at the level of 1.2920. 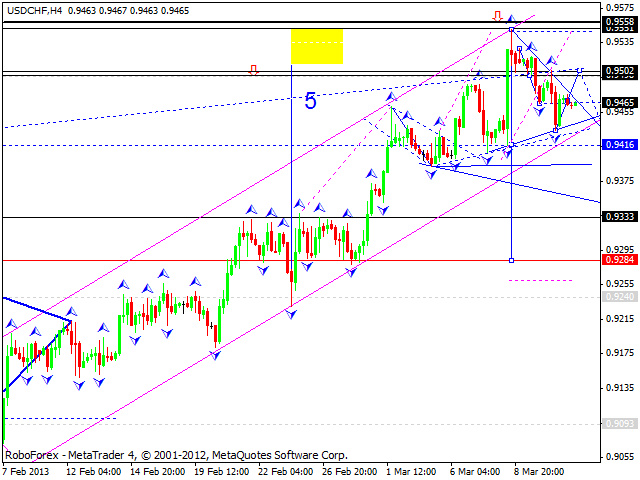 After reaching a new minimum, the GBP/USD currency pair started forming a new ascending wave. 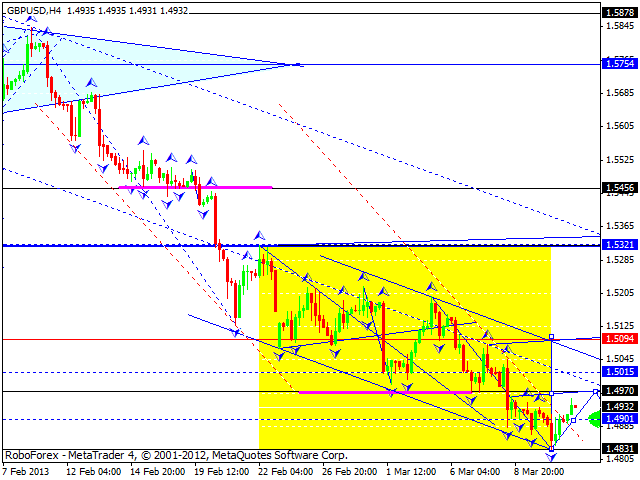 I think today the price may move downwards to test the level of 1.4900 and then grow up to reach the target at 1.4970. Later, in my opinion, the pair may start another correction towards the level of 1.4900 and then form head & shoulders reversal pattern. The first target od this pattern will be the level of 1.5100. The USD/CHF currency pair expanded the first impulse and continued falling down. I think today the price may start a correction towards the level of 0.9500 and then continue forming head & shoulders reversal pattern. The target is at the level of 0.9285. The current descending structure may be considered as the third wave. A predicted target of this wave is at the level of 0.9340. The USD/JPY currency pair started forming a descending structure. I think today the price may reach the level of 95 and then continue growing up towards the next target at 97. 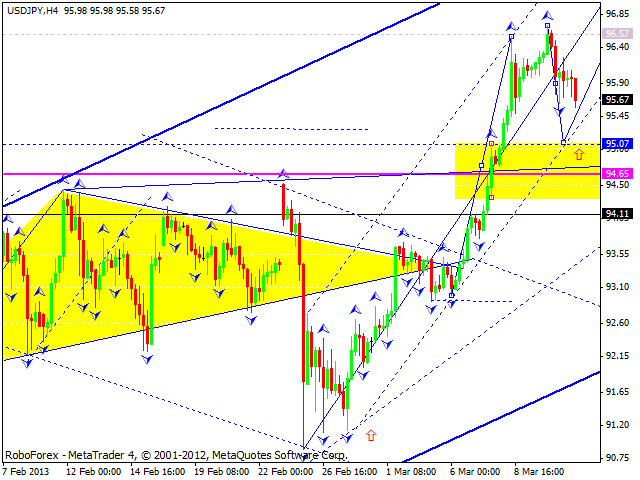 Later, in my opinion, the pair may consolidate for a while and form a continuation pattern to reach the target at 98. Australian Dollar continues forming the second ascending impulse. I think today the pair may consolidate for a while near the current levels and then continue growing up to reach the level of 1.0340. I should note that the price may expand this impulse up to the level of 1.0390. Later, in my opinion, the market may start a new correction to return to the level of 1.0300. Gold broke its consolidation channel upwards. I think today the price may move upwards to reach the target at 1608. Later, in my opinion, the instrument may continue consolidating and for a continuation pattern. 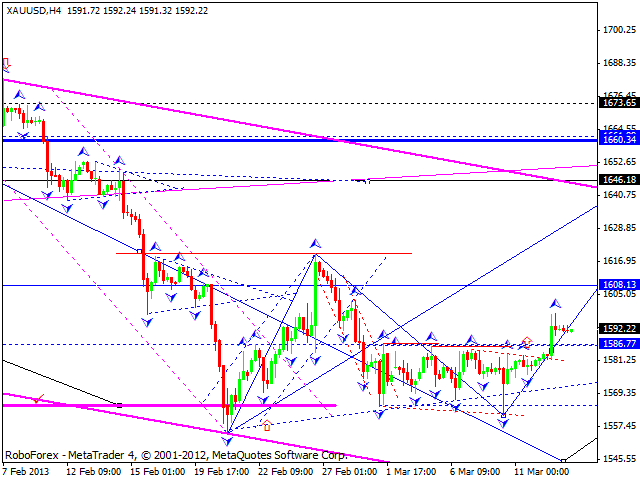 A local target is at 1645; this while ascending movement may be considered as a correction with the target at 1660.